It’s so important to read to babies, even from the beginning. 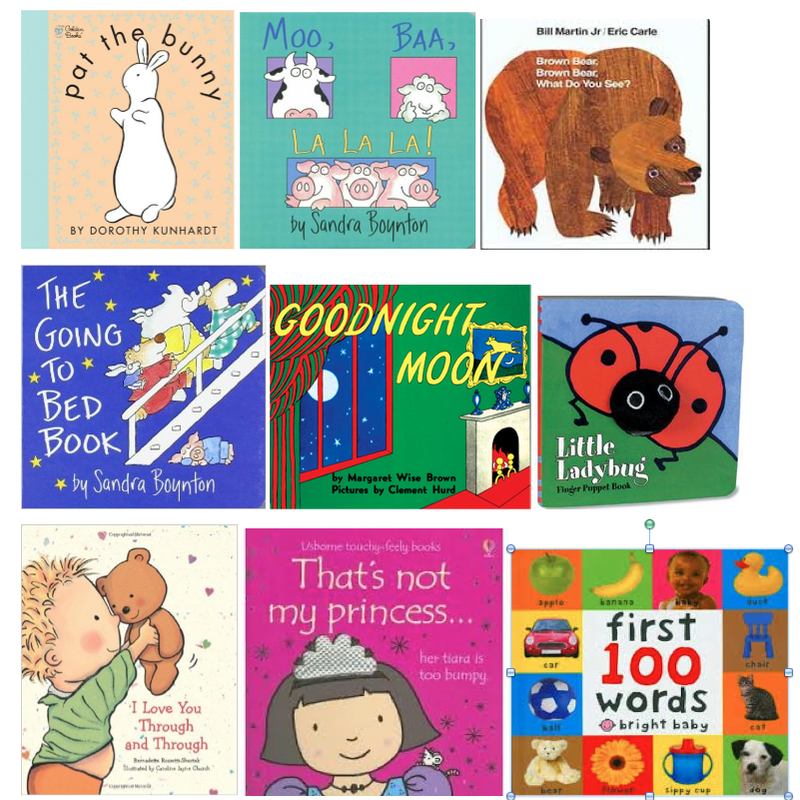 Below is a list of must-have books for babies under one year. 1. Pat TheBunny: A classic book that let’s baby interact with activities and touch-and-feel objects. 2. Moo Baa LaLaLa. All of Sandra Boynton’s books are fabulous, but this is one of her best. 3. Brown Bear, Brown Bear, What Do You See? The repetition of phrases is great for baby’s developing language skills. Plus, it teaches colors and animals, too. 4. The Going To Bed Book. Another Sandra Boynton Classic. A silly book that is perfect for bedtime. 5. Goodnight Moon. Everyone’s favorite bedtime book. All parents will have this memorized – like it or not! 6. Little Ladybug. This short board book has a fun finger puppet that keeps baby’s attention. Amanda likes to try to grab at the ladybug, and since she is teething, she tries to bite it, too! 7. I Love You Through and Through. This is a sweet book that teaches emotions and body parts. 8. That’s Not My Princess series. This touch-and-feel book series is fun to explore for little fingers. 9. Baby’s First 100 Words. Large pictures get conversations going, and baby’s brain working.